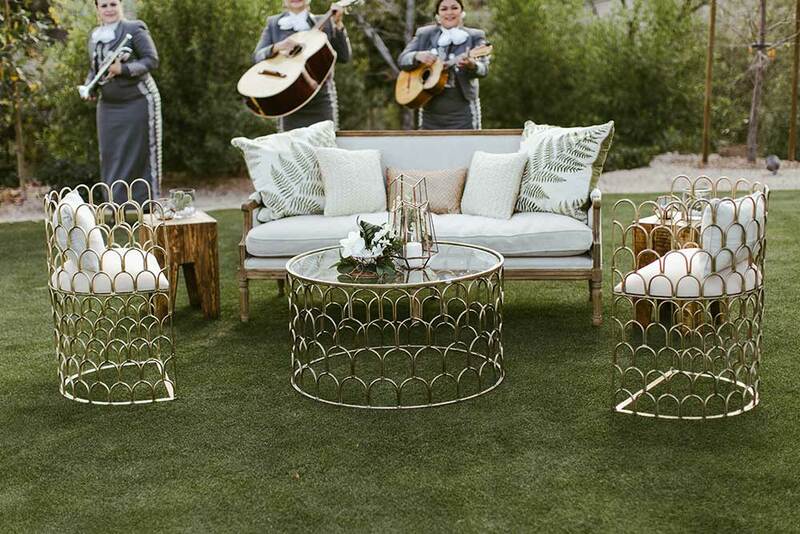 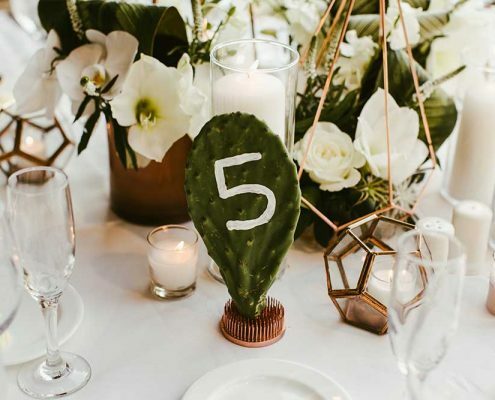 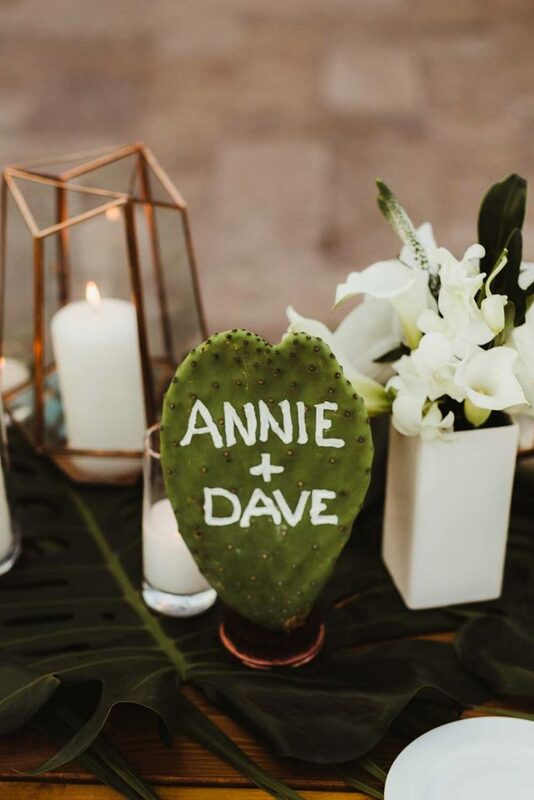 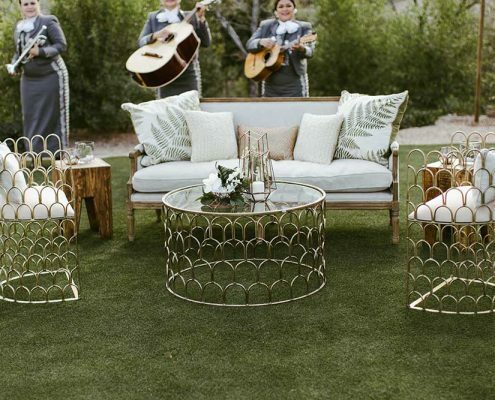 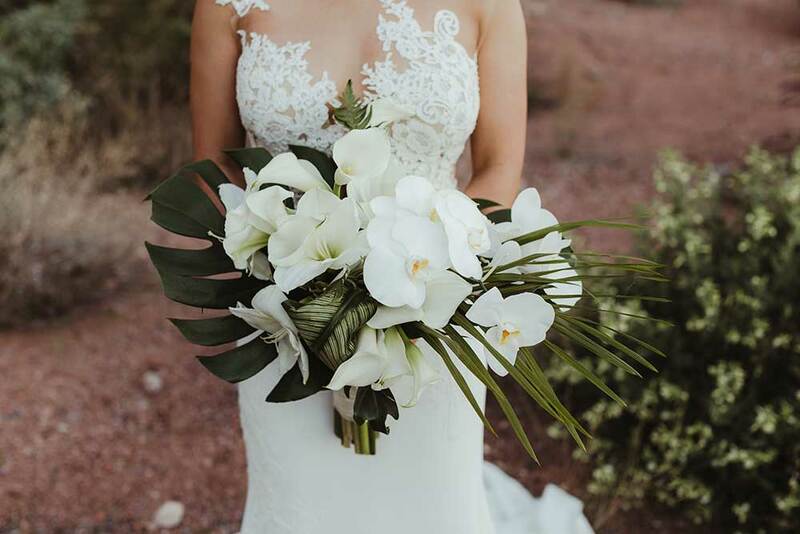 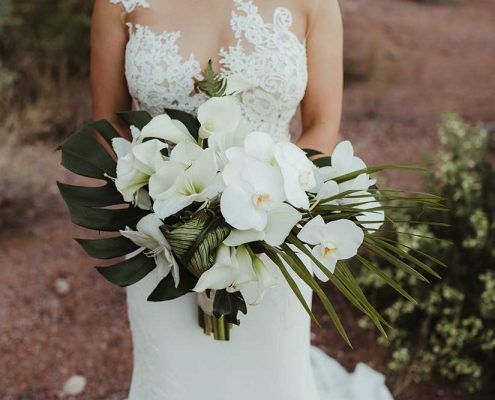 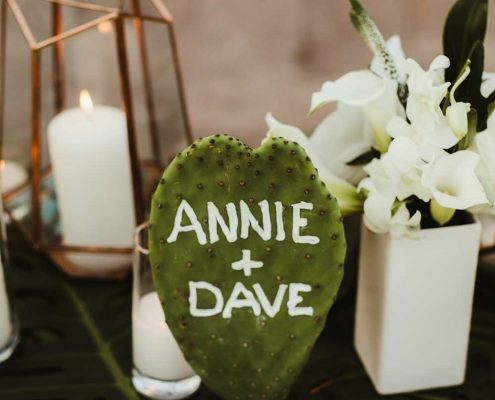 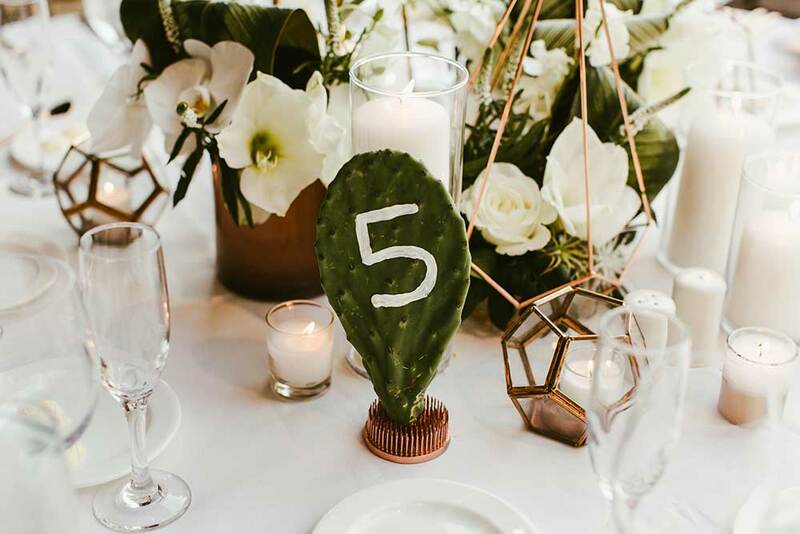 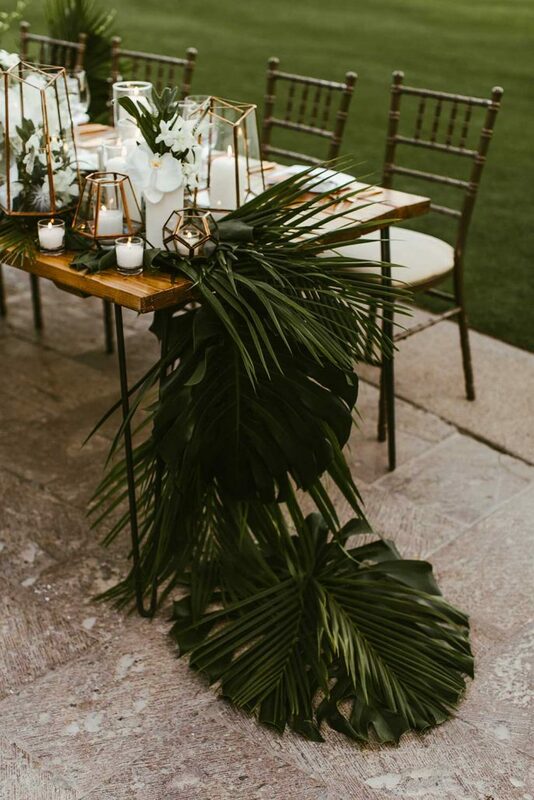 Desert meets the tropics in this creatively diverse wedding. 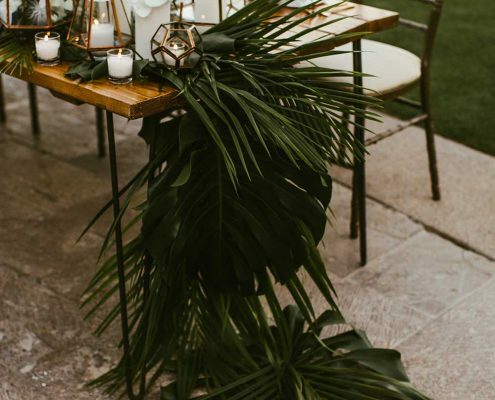 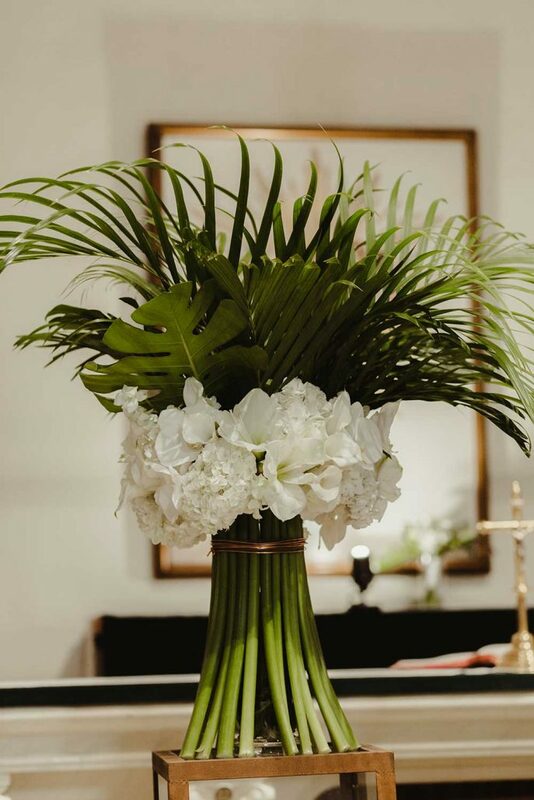 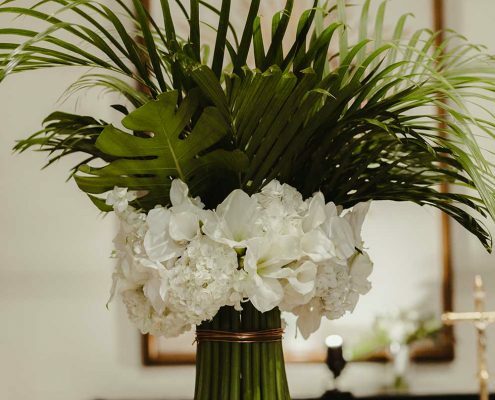 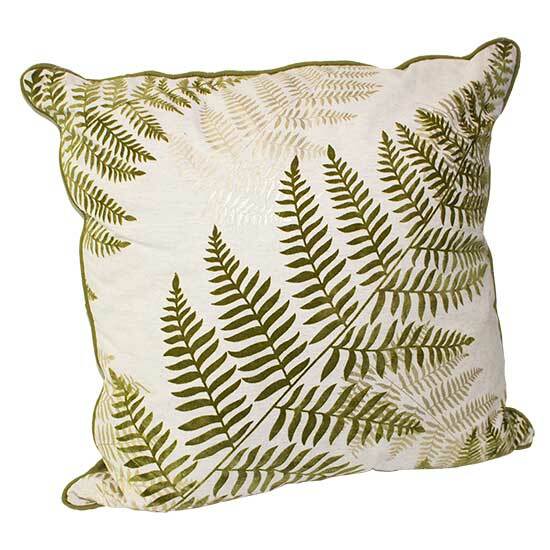 Tropical palm leaves and orchids blend with assorted cacti and tillandsia plants to create this fusion. 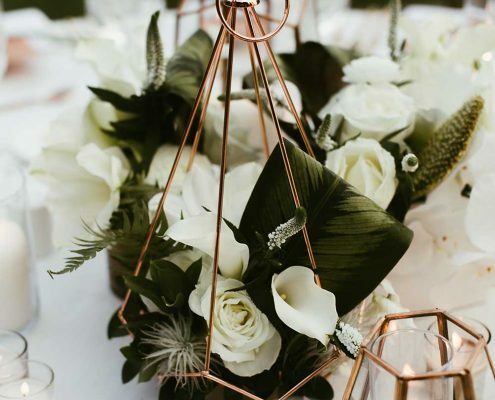 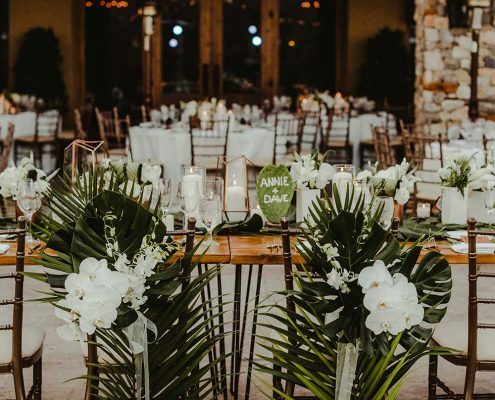 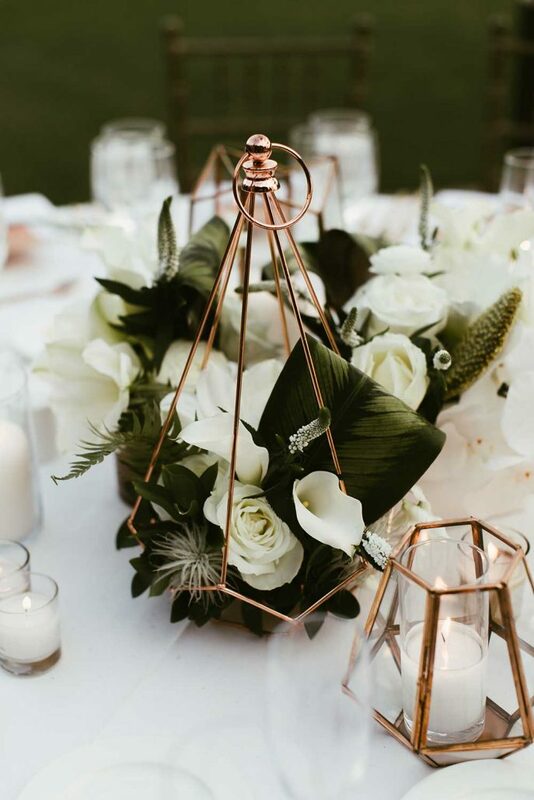 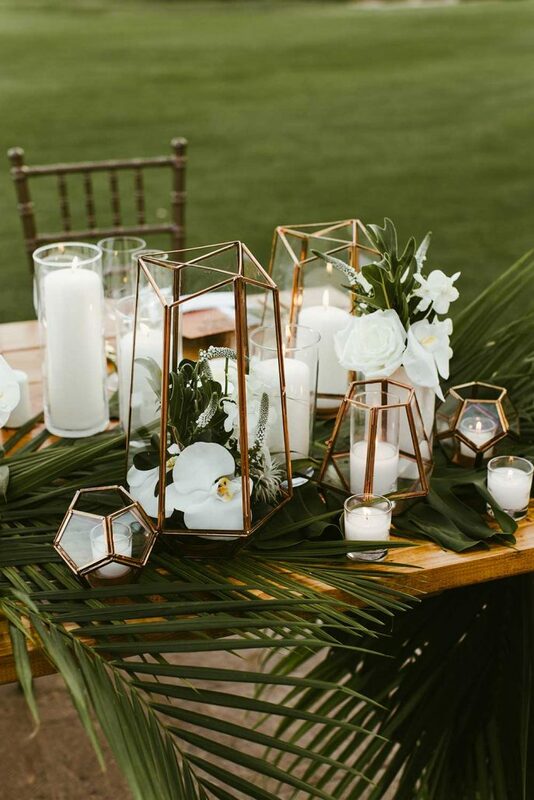 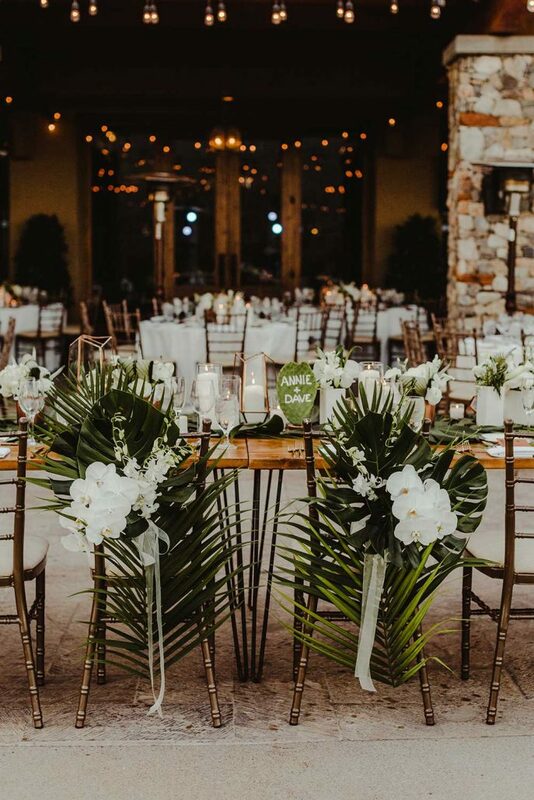 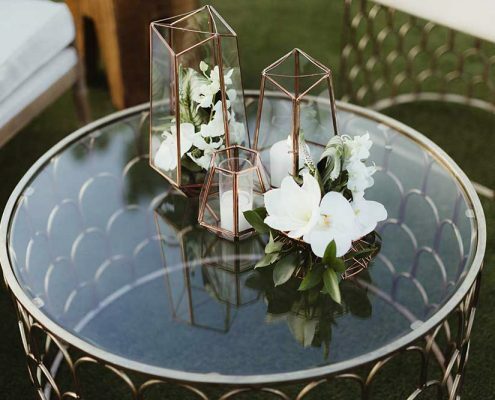 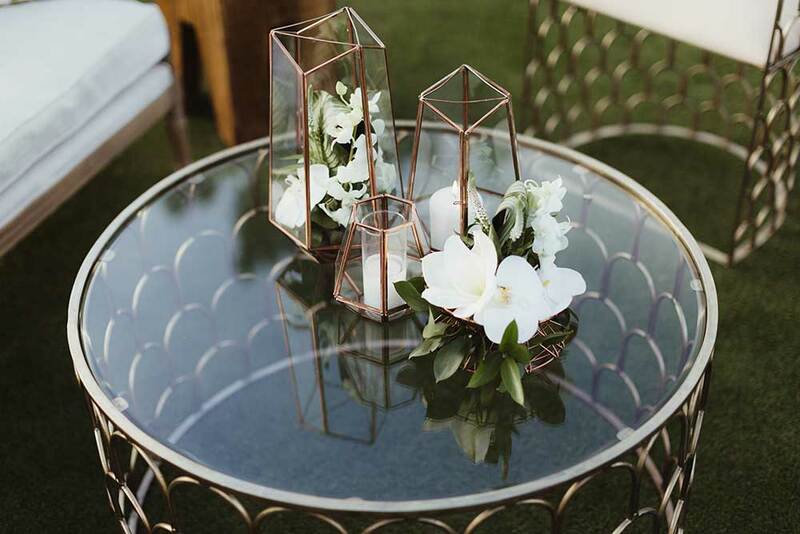 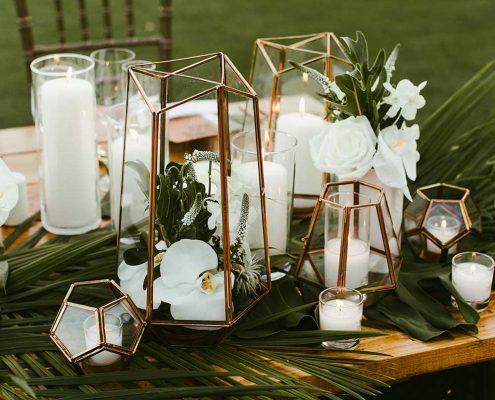 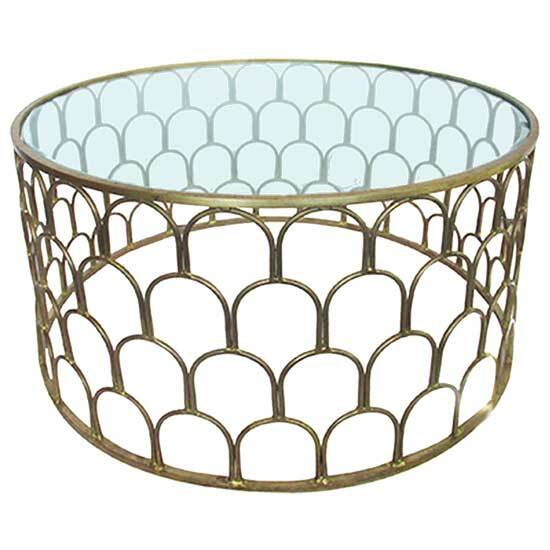 An assortment of copper atriums with ﬂoral and candles adorn the tables. 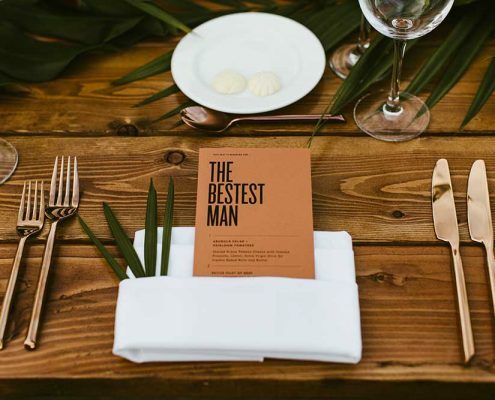 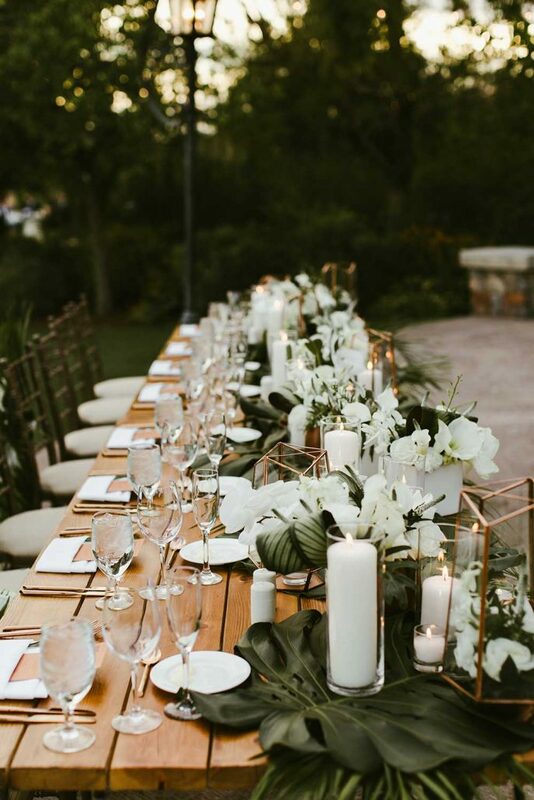 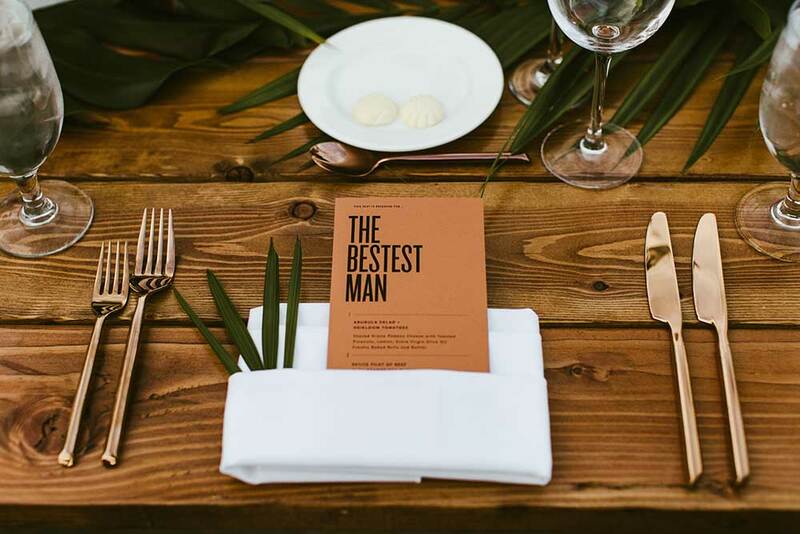 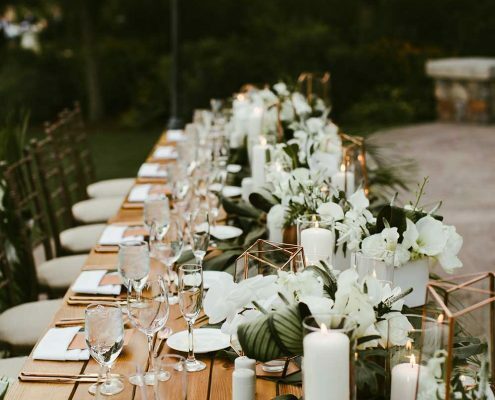 White crisp white linens and napkins accentuated the copper ﬂatware.